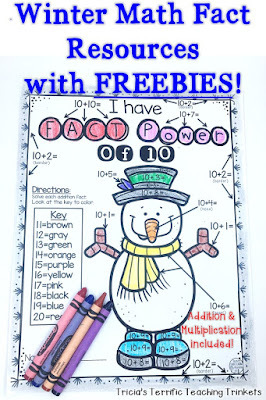 These winter math fact resources are an engaging, hands-on way to get your students working on their addition or multiplication facts while having fun. Are you looking for a great way to keep your students engaged this winter season? Then you're going to love these easy to use, print and go math materials! Quickly print out the sheet or sheets you want to use. 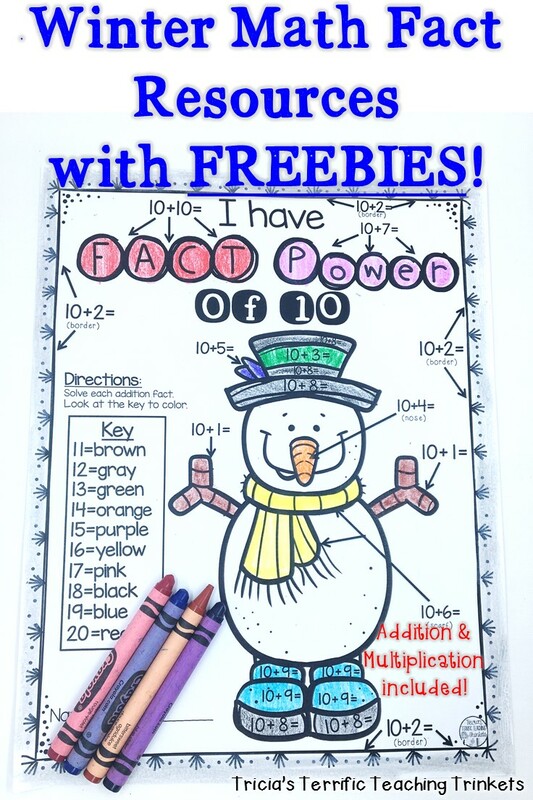 This great Color By Number Winter Addition Packet comes with a journal cover, so you can actually make each child their own workbook to use! With twelve pages, your 1st, 2nd, and 3rd grade classroom or homeschool students will be able to practice adding numbers 2-10 PLUS their doubles! Whoa, wait! Your students have already mastered their addition facts? No worries! Luckily for you, we have a similar winter math fact resource ready for your upper elementary students too! 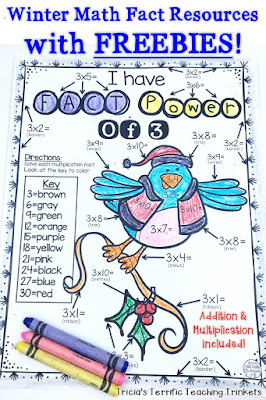 It's our Color by Number Winter Multiplication Packet! 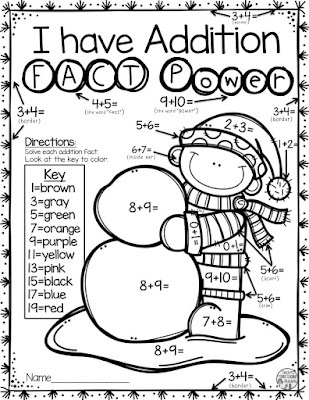 This 12 page resource has your 2nd, 3rd, 4th, or 5th grade students practice facts 2-10. 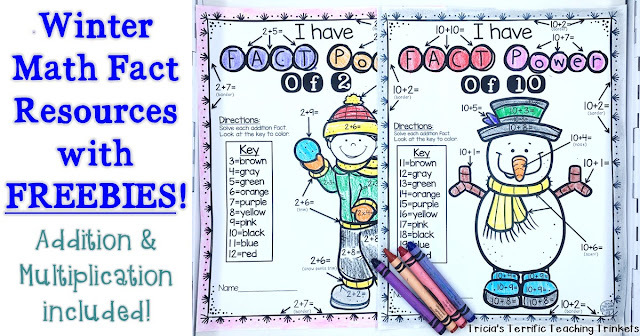 Regardless of which winter math fact resource you choose, your elementary students will gain valuable math fact fluency and knowledge! You can use these easy print-and-go resources for math centers or stations, buddy activities, early or fast finishers, peer tutoring, small group lessons, homework, and more! The winter months of December, January, and February don't have to be boring and ho-hum anymore! Click through to see how these two great resources can make your winter math fact learning come to life. Grab yours today! I promised a freebie, but how about two?! Whether your students need additional addition fact fluency practice or multiplication math fact practice, you can click on those links earlier in this sentence OR on the respective pictures below to get your FREE download. 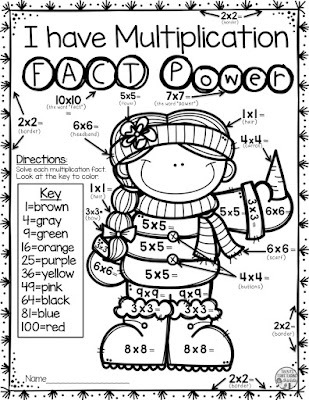 Thank you for stopping by to check out these winter math fact resources! We know your students are going to love them! !